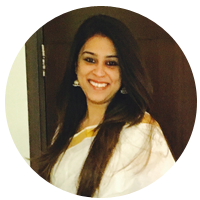 I am Sushmita, a corporately finessed, progressive and a pragmatic thinker who strongly believes in having a spiritually balanced living. 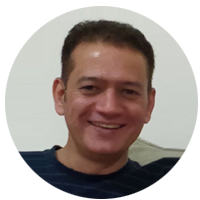 I am a management professional and hold a credible 15 years of a successful corporate experience in many global companies and countries in the field of strategy& operations, brand and product development. It is in this corporate journey that I realized that how a spiritual life balance is an equally important element for personal evolvement and development of all individuals. Also, as a cherry to a cake from a younger age I knew I was very intuitive, blessed & connected and this time around I want to put it to good use for my family, friends and clients I meet on the way. And there came the inception of my newest spiritual venture “AALMA- inner voice”. “Aalma” literally means the soul and I believe Soul is the central point of spiritual discipline, that little inner voice that we get from within time to time. So how do we nurture our AALMA and be successful and happy? Aalma has been launched to help everyone realize their truest potential in whichever life quadrants they belong to with the help of many new age practically moulded spiritual methodologies. These modalities are easy,simple and effective that work on your sub conscious mind rather than your always overworked conscious mind. 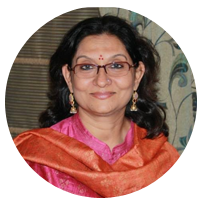 Dr. Neena Gulabani, a doctorate in Extension Education , SAHHEAL Healing Consultant and a certified trainer for conducting workshops on “Heal your Living – The CORPORitual Way” has guided, counselled and trained thousands of people across ages and lands over last 3 decades. Her focus has been on building nurturing and enabling relationships, empowering youth to make wiser decisions, hand holding parents and on total wellbeing of humanity. The essence of her work is guided by the humanistic hope imparting philosophy of Nichiren Daishonin’s Buddhism which empowers and inspires people towards leading a life of dignity, happiness, peace and fulfillment; life of no regret and guilt. She strongly believes that purity of mind is prelude to purity of the land. An epitome of balanced living,she is able to powerfuly motivate people to undergo their human revolution. She has also facilitated several projects of many international, government and non government organisations and is the founder of Anubhav Learning Centre, a facility for young children. We are pleased to have an incredible life coach on our board. Reflexology, is a popular therapeutic alternative medical treatment. It is natural yet scientific, gives physical and mental relaxation, improves blood circulation and strengthens immune and nervous system. The therapy is safe with no side effects and is for all age groups. It can treat all the ailments like stress, anxiety, depression, migraine, spondylitis, blood pressure, diabetes, back pain, joint pain etc to give a lasting cure. Activates all your organs and restores your energies to help you lead a healthy, balanced and a rejuvenated life. For a safe treatment leading to positive results, take a session of 45 min to experience “Happy Feet” by our in-house expert “Ashish”. Hatha yoga practice has many elements, both behavioral and of practice. The Hatha yoga texts state that a successful yogi has certain characteristics. Hatha Yoga Pradipika, for example, states these characteristics to be utsaha (enthusiasm, fortitude), sahasa (courage), dhairya (patience), jnana tattva (essence for knowledge), nishcaya (resolve, determination) and tyaga (solitude, renunciation). 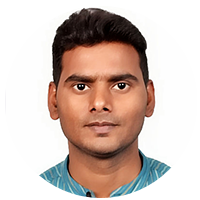 Our in house yoga instructor ” Balram” has 20 years of Hatha Yoga and Dhyan experience.